ISLAMABAD: Rain-thunderstorm with snow over the hills is expected at scattered places in Malakand, Hazara, Rawalpindi divisions, Islamabad, Gilgit-Baltistan and Kashmir, while at isolated places in Peshawar, Kohat, Mardan, Bannu, D.I. Khan, Quetta, Zhob, Sargodha, Faisalabad and Gujranwala divisions, according to National Weather Forecasting Centre, Pakistan Meteorological Department. Foggy conditions are expected in South Punjab and upper Sindh during morning / night hours. 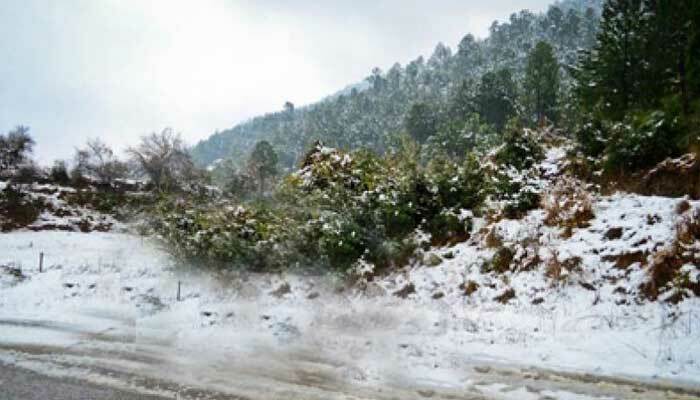 Snowfall over the mountains is also expected in Murree, Gilliyat, Malakand division, Gilgit-Baltistan and Kashmir. Continental air is prevailing over most parts of the country. A fresh westerly wave is likely to approach western parts of the country on Friday. Rain-thunderstorm with snow over the hills is expected at scattered places in Malakand, Hazara, Rawalpindi divisions, Islamabad, Gilgit-Baltistan and Kashmir, while at isolated places in Peshawar, Kohat, Mardan, Bannu, D.I.Khan, Lahore, Faisalabad, Sargodha and Gujranwala divisions. Foggy conditions are expected in South Punjab and upper Sindh during morning/night hours. Snowfall over the mountains is also expected in Murree, Gilliyat, Malakand division, Gilgit-Baltistan and Kashmir. Weather remained cold and dry in most parts of the country. Foggy conditions prevailed in plains of Punjab and upper Sindh. Kalam -11, Skardu -10°C, Gupis, Astore -07°C, Bagrote -06°C, Malamjabba, Rawalakot, Hunza -04°C, Dir -03°C, Chitral, Parachinar, Gilgit -02°C, Kakul, Kalat -01°C.